Back in January one of our leaders Boris headed out to YWAM'S 50th anniversary conference in Canberra. He came back with a vision. 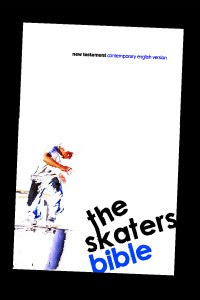 To get a bible into the hand of every skateboarder in Australia. Whilst we can't measure that, we can go after it and make a big difference. This vision has developed into Pure Parks. People from the local churches to each park will also be invited to help the church and the skaters get connected. The goal is to visit every skatepark in the next 5 years which would be a bit of a stretch for us to do on our own. Therefore we're also putting together a manual to send out to facilitate groups elsewhere in the country to visit parks in their area. There are plans for a website so that you can go online and see which parks have been visited with information and stories about what happened and a photo of the team who visited. I'm so stoked on this vision. Pray. You don't need to be on the same continent to reach these kids!